The book Will Write for Food by Dianne Jacob provides a great overview, tips and how-tos for food writing of all kinds including blogging, cookbooks, recipes, food critics, and even food-related fiction novels. 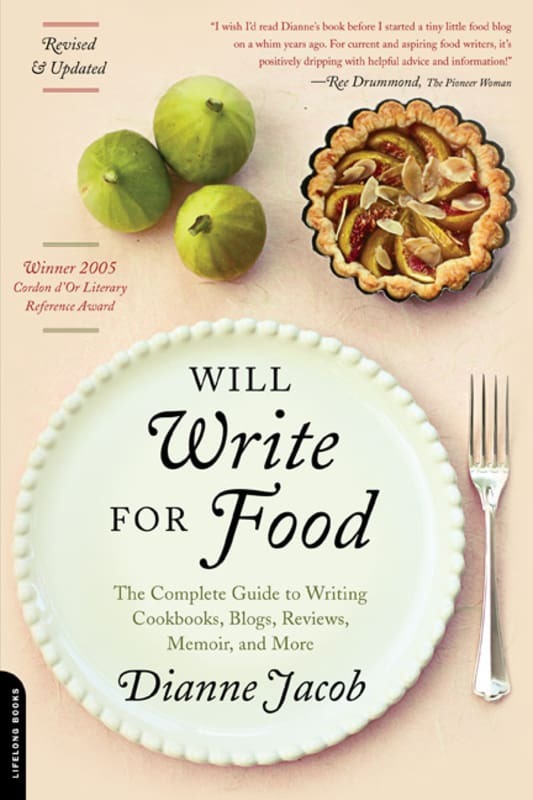 The book is teeming with references to books, websites, and groups that cover general writing, recipe writing, and other food writing topics. For all types of writing, Jacobs strongly recommends starting with a "clear notion of your audience, your medium, and your medium's picture of their audience". As a successful journalist, editor-in-chief, freelance writer, teacher, and blogger, Dianne Jacob brings a wealth of practical hands-on information with a style that radiates genuine enthusiasm. The Recipe Writer's Handbook by experienced food editors Barbara Gibbs Ostmann and Jane L. Baker is a great resource on all aspects of recipe writing, including testing, formatting, nutrition and other general guidelines. These authors stress that measurements must add up, vocabulary must be clear, and the whole process must be broken down into simple steps with straightforward instructions and error-free presentation. However, you will also discover how to write concise and complete recipes without sacrificing your creativity or personality. You may find the final section interesting; it presents the philosophical views of food professionals as to what makes a good recipe good. The Handbook shows you how to "think" your way through a recipe in order to make important decisions and troubleshoot potential problems before they occur. The Flavor Bible provides pairings of various foods. It's an invaluable resource for recipe creation and creativity by making connections between foods that you wouldn't have made on your own. Discover how to work more intuitively and effectively with ingredients; understand the relationship between temperature and texture; excite the senses with herbs, spices, and other seasonings. This book contains no recipes. However it does provide valuable alphabetical index of flavors and ingredients, and the means to search for complimentary combinations of them. 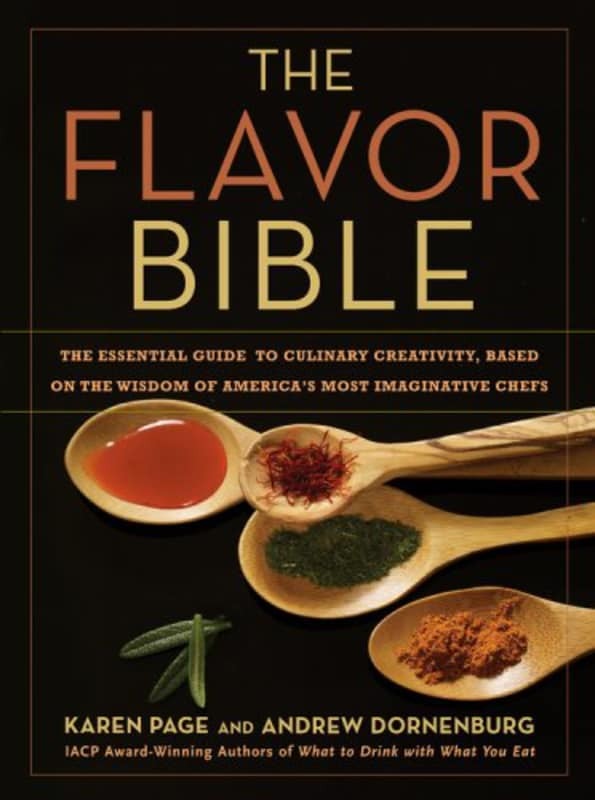 The Flavor Bible by Karen Page and Andrew Dornenburg is Amazon's #1 seller in the "Herb, Spice & Condiment Cooking" category. The Deluxe Food Lover's Companion written by Ron and Sharon Herbst contains more than 7,000 entries on types of food, cuisine, dishes, food-related culture and other gastronomic items. It's a good culinary dictionary for foodies; it gives you the quick answer for most questions in the kitchen. With Ron's background in hotel & restaurant management and Sharon's in journalism with awards as a cooking & dining author, they bring experienced information to the table. On Food and Cooking by Harold McGee delves deeply into the science behind many of the food techniques, reactions, and reasons behind cooking. He pioneered the transformation of technical food science into cook-friendly kitchen science. In addition, he helped bring about the inventive culinary movement of molecular gastronomy. McGee has the authority to write with clarity and thoroughness as he blends the chemistry of food and cooking into the science of everyday life. Not only does this book provide useful information for anyone who has ambitions to develop their own recipes, but the book is simply interesting to amateur foodies and culinary professionals alike. Harold McGee's follow up book Keys to Good Cooking: A Guide to Making the Best of Foods and Recipes is a less scientific, but still a strong look into many aspects of cooking. 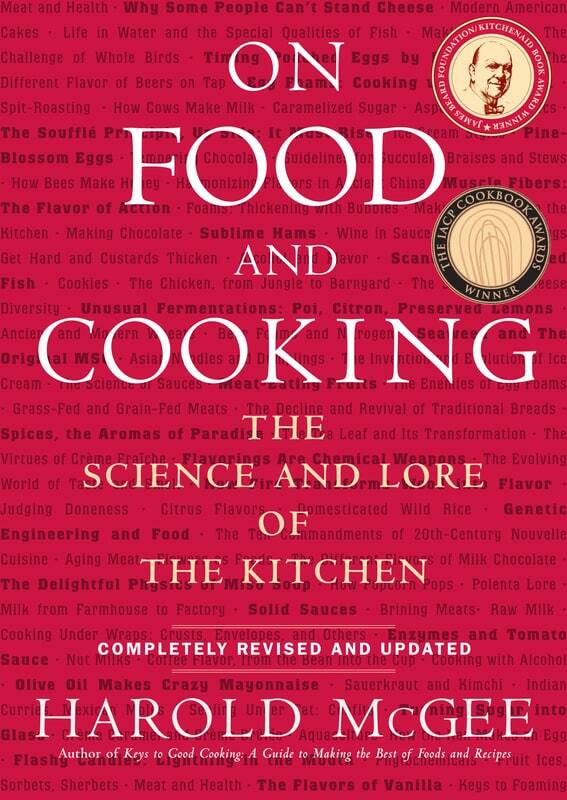 From his standpoint, every great dish relies on proven science, and this compilation of well-researched data is a textbook for proper food preparation. It offers indispensable information on how to make the most of any recipe, a user's manual that enables home cooks to achieve maximum results. The book Ratio: The Simple Codes Behind the Craft of Everyday Cooking by Michael Ruhlman is an effort to break down many of the more complicated cooking techniques into simple ratios that can easily be applied to create a wide range of foods. He explains what essential properties make the ratios work and the subtle variations that differentiate, for example, bread dough from biscuit dough. The team at Cooks Illustrated has spent the past 20 years investigating every facet and every detail associated with home cooking through tens of thousands of kitchen tests. 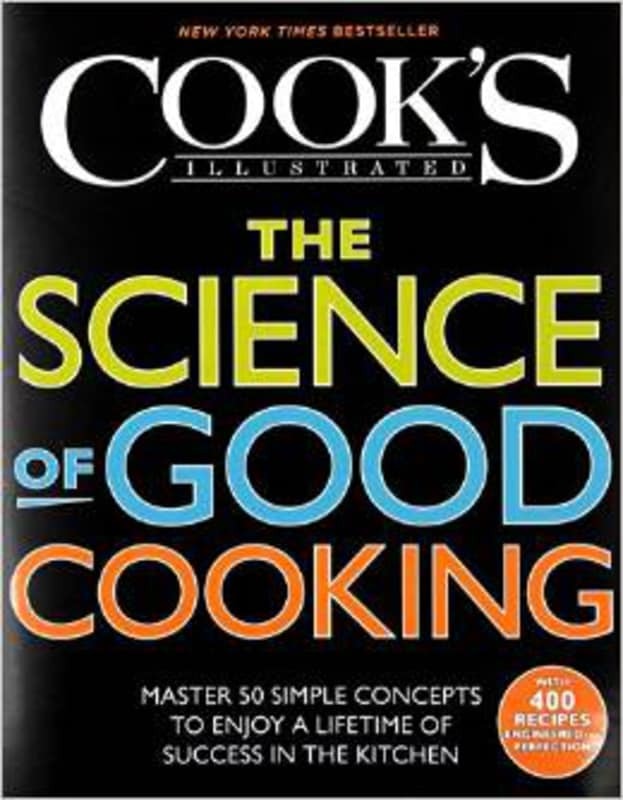 In The Science of Good Cooking , they condense the past two decades of test kitchen work into 50 basic cooking concepts, scientifically-minded approaches that every home cook should know. How Baking Works: Exploring the Fundamentals of Baking Science was written by Paula I. Figoni, a food scientist and associate professor at the International Baking and Pastry Institute in the College of Culinary Arts at Johnson & Wales University in Providence, Rhode Island. Figoni believes that the heart of baking is chemistry, and anyone who wants to master this skill must understand the principles and science that make baking work. This book explains the whys and hows of every chemical reaction, essential ingredient, and technique used in baking. In his Cooking for Geeks: Real Science, Great Hacks, and Good Food book Jeff Potter, a self-proclaimed science and food geek, provides the tools for you to express your creativity instead of just following recipes. He aims to help you discover what makes a recipe work so you can improvise and craft your own unique dishes. This book is an excellent, humorous and informative resource for anyone who wants to experiment with cooking. 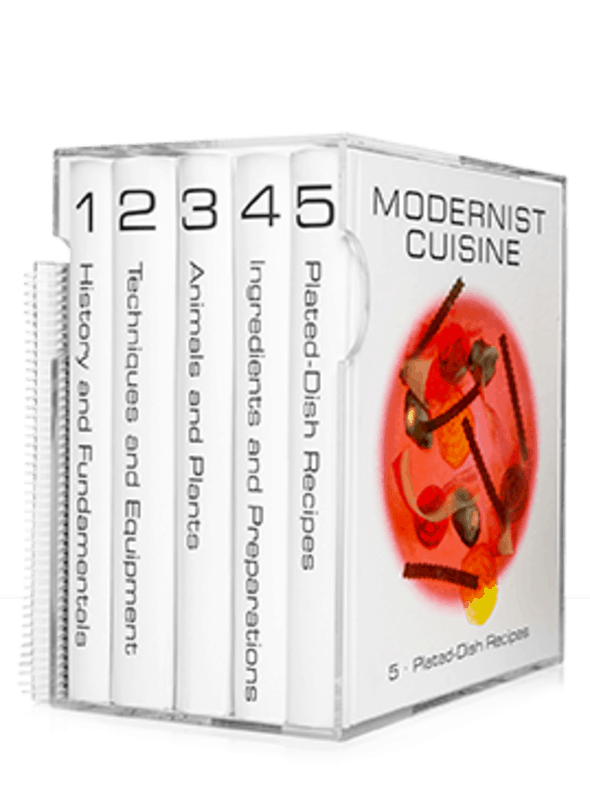 In Modernist Cuisine: The Art and Science of Cooking by Nathan Myhrvold, Chris Young, and Maxime Bilet, all scientists, inventors, and accomplished cooks in their own right. This five-volume, 2,400-page set reveals science-inspired techniques for preparing food. It is a landmark contribution to the art of cooking and our understanding of its underlying principles. Besides the large quantity of clear, concise information, the stunning photography of the equipment and ingredients, graphic design and even printing gives the book a "coffee table" type quality.